J. T. Ready, a self-proclaimed neo-Nazi, was among five dead at a shooting at a home in Gilbert, Arizona. He was running for Pinal County Sheriff. A leading neo-Nazi reportedly blamed by authorities in Arizona for killing two women, an Army veteran and a 16-month-old child in a suspected domestic incident was “cruel and controlling,” according to a former co-worker of one victim. J.T. 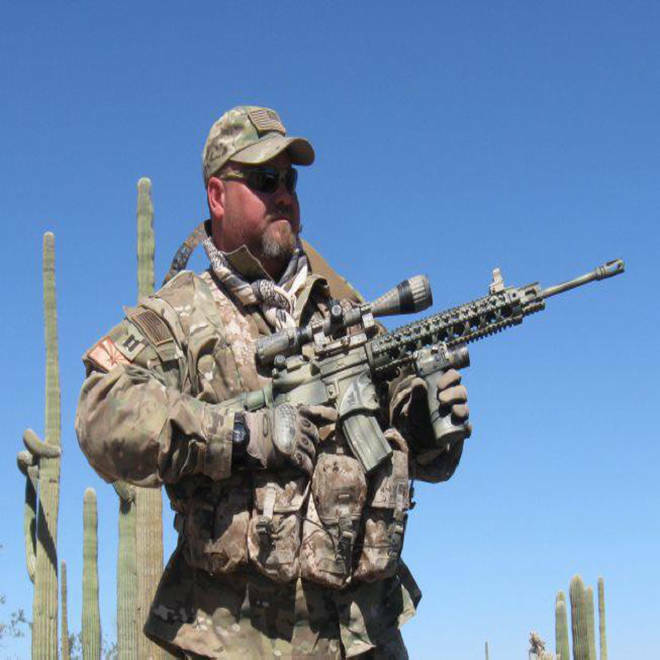 Ready, a former Marine, was running for Pinal County sheriff and was a member of the U.S. Border Guard and the Minuteman Project, according to The Arizona Republic, which described the groups as anti-illegal immigration organizations. The paper said he also belonged to the National Socialist Movement, a group with white-supremacist views. The shootings took place at a house in Gilbert, Ariz., shortly after midday Wednesday. The Republic reported that authorities believe Ready killed himself after shooting the others. Gilbert Police Sergeant Bill Balafas said officers were interviewing a witness to the shooting, which investigators believe stemmed from a "domestic situation," Reuters reported. Hugo Mederos, of Florida, told the Republic that the victims were his former wife, Lisa Mederos, 47, their daughter Amber Mederos, 23, her boyfriend Jim "Jambob" Hiott, 24, an Army veteran who served in Afghanistan, and Amber’s 16-month-old daughter Lily. Hugo Mederos told the paper that his other daughter, Brittany Mederos, was present at the time, but was not hurt. A police officer walks with a man who said he had a child inside of the home where five people were shot in Gilbert, Ariz., Wednesday. "She was in the bedroom when she heard the gunshots," he added. "She heard everybody screaming. She heard the baby crying." Amber Mederos was employed at a nearby Wendy's restaurant and Heather Morton, a former employee, told the Republic that Ready had met the Mederos sisters at the restaurant and then began a relationship with their mother. Morton told the Republic that Ready moved in with Lisa Mederos, but Amber Mederos, her daughter and fiancé had left the family home because Ready was "cruel and controlling." Morton said Ready had once said of Lily, who was half-Hispanic, “she's 50 percent ugly,” the paper reported. “That's how he described her," she added. A Facebook page entitled "JT Ready for Sheriff" carried a message from the administrator noting unconfirmed reports that "a cartel assassination squad murdered JT Ready and several of his friends and family this afternoon in Gilbert Arizona," according to Reuters.